It's #FinishItFriday where I share a project with you that needs to be completed. The goal of Finish It Friday is to make progress toward finishing UFO's (unfinished objects) by working on it today. Perhaps I'll inspire you to pick up your own UFO and make some progress too! 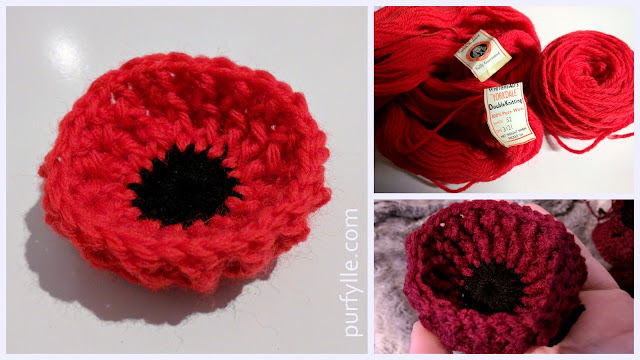 When I get new yarn I will sometimes start a project without any clear idea of what it's going to become. When I discovered this pure wool yarn at my favourite local vintage and second-hand store for $2 a ball I just had to snap it up. Of course I couldn't wait to use my pretty new yarn and I played with it a little until it told me what it wanted to be, which was a sampler for learning how to crochet broomstick lace. Last time I decided I wanted to learn broomstick lace, a.k.a. peacock eye stitch, I couldn't figure out what to do about not having a nice big thick stick to wrap my yarn around. This time I realised I could just use my ruler, that a flat stick will do just as well as a round stick. I've added the tutorial I used to my crochet lace playlist on youtube if you would like to take a look. I made a good start and then my shoulder problems started up and it all got put to the side for a while. Putting this crochet project down gave me time to realise that this yarn was really scratchy and would not be at all nice to wear or use as a lapghan and what on earth will I do with my broomstick lace sampler? After all I don't want a repeat of my Tunisian crochet sampler where it just hangs around for ever while I don't know what to do with it. Well, what that really means is that I need to make actual progress on the Tunisian wool project and then see what my yarn needs are from there. Decide what to do with the broomstick lace, continue or frog, which will depend on if the yarn is needed for the Tunisian crochet sampler project or not. YES. I took photo's! That's progress right? And in my defence I've had that nasty flu for the last couple of weeks so I've not been doing much of anything. When will you get to see those photos? I'll keep you posted. NO. The photo taking process was frustrating as the light kept coming and going with the cloud cover. This blue yarn also refuses to photograph true to colour which makes photo editing more arduous. YES. I'm determined to do something with this project. I keep making up my mind to go one way and then I decide to go another. I guess when I actually get to work on it, it will all turn out. 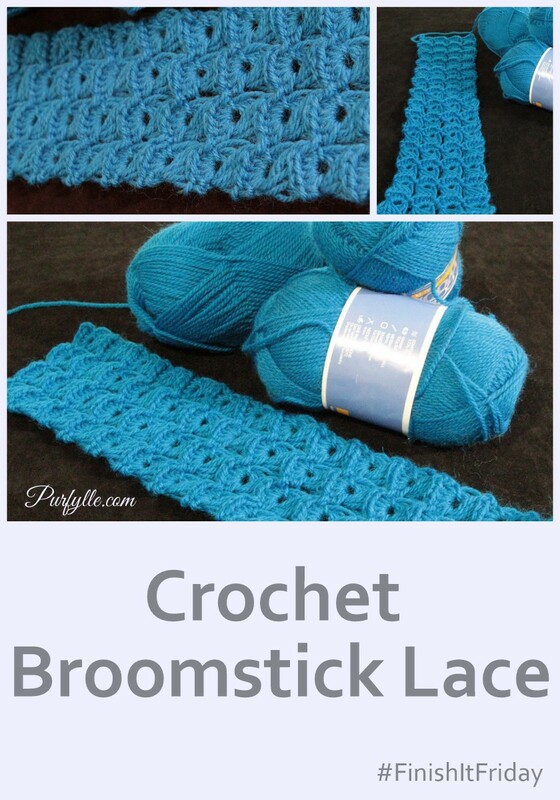 Welcome to the world of broomstick lace (without the broomstick, lol)! I've used a broken shovel handle for a stick, and boy, does that get tiring. With your shoulder, I'm glad you were able to find something that let you work a bit easier. That scratchy yarn: Have you tried softening a sample yet? Maybe it won't be so scratchy after a treatment. It's pure wool so I doubt it will get much better after treating. 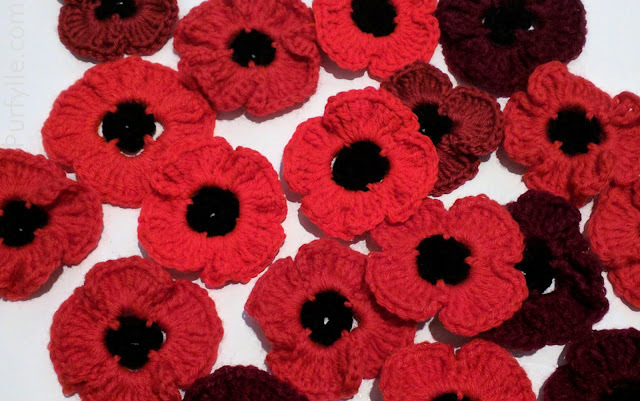 I've just realised it's not scarf material so it will be better off as something that is not worn next to the skin. It's looking like it might become an lapghan. Size 50 sounds enormous! I'd like to see those needles. My shoulder complains about all crochet, not broomstick lace specifically, but I'm doing all the right exercises to correct it and they seem to be working =D thanks for the tip.